Kygo shared a preview of his & Selena's "It Ain't Me" video on Instagram. Snippets & refreshed socials: Selena Gomez is definitely up to something. 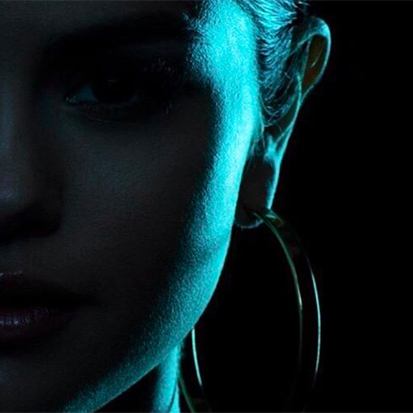 Selena Gomez's "Feel Me" has finally surfaced online and it's very, very good. I hate to say I told you so, but I will! Last week, Selena Gomez refreshed her socials with a new image and I assumed it had something to do with her upcoming Kygo collab. That hunch turned to be correct this morning (February 13) when she shared the cover of “It Ain’t Me” on Instagram. (Her new avatar was snapped during the same shoot). The caption was also illuminating in that Sel confirmed the title and announced the release date. Her latest drops later this week, on Thursday (February 16). Of course, fans already have a good idea of what to expect from the song. The Norwegian DJ, who collaborated with Sel’s good friend Julia Michaels on “Carry Me,” shared a snippet of the video and the pop diva also previewed the bop in an Instagram story. “I had a dream we were back at 17,” she sang. “Summer nights and liberties, never growing up.” It sounds like a winning mix of acoustic guitar and drowsy house with nostalgic lyrics. In other words, very much on trend. See the cute cover below.